If you’ve been involved in a car accident and are planning on filing a personal injury or property damage lawsuit, there are several legal terms you should be aware of so you have a better understanding of your case and what is involved. Negligence per se. This term means an act that is in and of itself careless, and once the commission of the act has been established, it is no longer required to show any additional evidence of fault. Should a driver be involved in a car accident, he or she may be considered “negligent per se” if they have broken a traffic law, such as driving above the speed limit and causing an accident. Total loss. If the cost to repair a vehicle is greater than its value or if the vehicle simply cannot be repaired, this is considered a total loss. In these types of situations, the driver’s insurance company would offer the current cash value of the vehicle. Actual cash value. This term is simply another way to refer to a vehicle’s current market value when a property damage claim is filed and the vehicle requires repair. This actual cash value is determined based on what the vehicle would have sold for just prior to it being damaged or, in a more severe case, destroyed. Call 844-SFL-PAIN, personal injury attorneys, and Hollywood car accident lawyer. 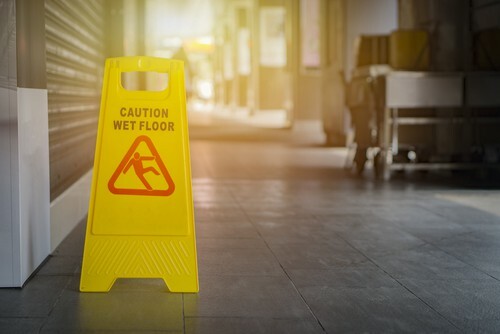 Areas of practice include products liability, auto accidents, premises liability, slip and fall, catastrophic injuries and wrongful death. For more information or to request a consultation to discuss your case, please call 844.SFL.PAIN (844.717.6659). This information is for educational or informational purposes only and should not be construed as legal advice. According to a recent Florida Record article, a South Florida woman has filed a lawsuit against Wal-Mart Stores East LP, a subsidiary of major retailer Walmart. Wal-Mart Stores East LP operates various retail stores, supermarkets, and discount stores. The woman is suing for alleged negligence. In the lawsuit filed in Broward Circuit Court, the plaintiff alleges bodily injury due to the defendant failing to provide a safe environment for patrons. The plaintiff alleges she also suffered mental anguish, aggravation of pre-existing medical conditions, earnings loss, and medical expenses. The plaintiff suffered these injuries after slipping on a hazardous substance, causing her to fall. The defendant is being held responsible because it failed to provide a warning regarding the dangerous conditions and for allegedly permitting the unknown substance to remain on the floor. The plaintiff is seeking a trial by jury and compensatory damages of more than $15,000 in addition to costs. A pair of teenage boys made headlines when they went missing at sea about two years ago during a fishing trip in Florida. Last month, the family of one of the boys filed a wrongful death lawsuit against the other boy’s family, alleging that negligence in permitting the boys to venture off on the vessel during poor weather conditions resulted in their deaths. According to the lawsuit filed by the mother/plaintiff, her son was allowed to sleep over his friend’s home so the boys could go river fishing the following day. The mother believed that neither of the boys would have been allowed to take a vessel into the water if an adult was not on board. Per the lawsuit, however, the defendant had a family member who was aware the boys intended to go fishing and even gave them money to use towards purchasing fuel for the vessel. The vessel lacked safety features such as an emergency beacon and radio. It is believed that rough storm conditions would eventually cause the vessel to capsize. The Florida Department of Law Enforcement released a report last month concluding that the accident could have been avoided and an “egregious lapse in judgment and failure to exercise due care” led to the boys’ disappearance and possible deaths. What Happens If I’m in a Car Accident Involving an Uber or Lyft Driver? Serious personal injuries can cause tremendous pain, suffering and financial hardship for all victims involved. 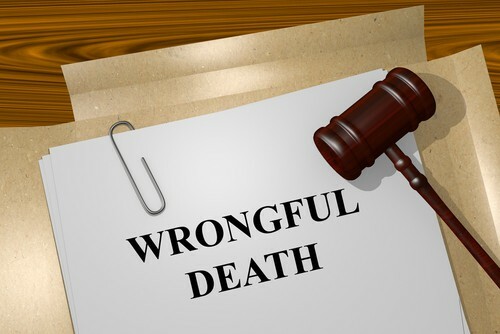 We are committed to providing diligent representation to ensure that you and your loved ones are justly compensated for the wrongful acts of another party.